This past week has seen a “Sweeper Wave” of coinciding reading and researches which tell me one new thing – podcasting for business content marketing is now going mainstream. First let me explain the sweeper waves – I was on holiday on the Coromandel Coast and a sea swell off the west coast caused occasionally huge waves to come right up the beach nearly to the high tide mark – even when the tide was half out. These had large volumes of water inside them and so had great forward momentum and a strong undertow when they receded. While I watched, people paddling knee deep got caught off guard and swept off their feet and the wave also soaked their clothes higher up the beach – one lady broke her hip being tumbled by the wave and the air ambulance was called out. I reflected on the sweeper waves and see them as a metaphor for change in marketing and business. Hemingway’s insight into change (or bankruptcy) is that it happens slowly and then all at once. They key is knowing whether what you are seeing is at the early-adopter or just-going-mainstream stage. 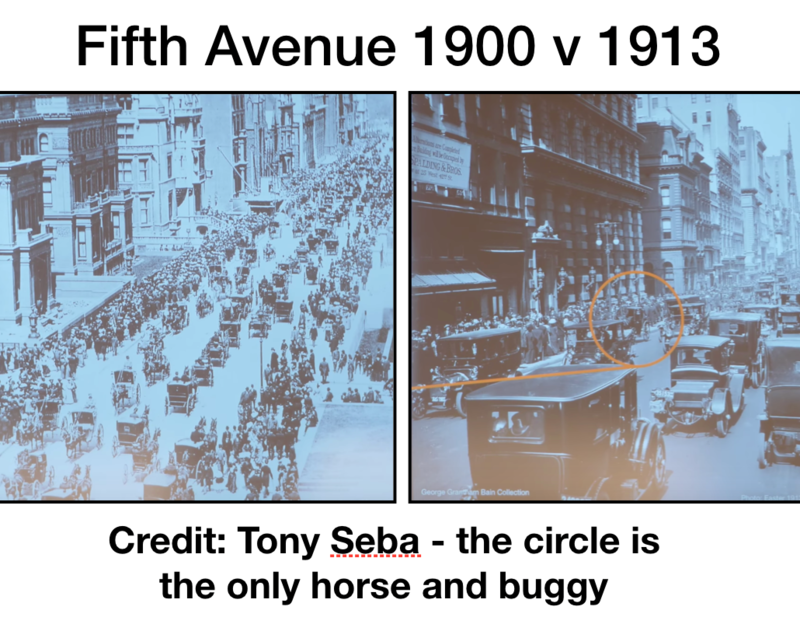 I have followed the rise of electric vehicles assiduously since watching Tony Seba’s illustration of Fifth Avenue, New York. These two photos are taken 13 years apart. What happened in between? Change. Disruption. Like a sweeper wave, some people get caught unawares. My attempt to avoid this is to watch out for “recurring themes” in tech, marketing, and business. The rest of this article is about my recent finds. Some connect, others are remarkable for different reasons. I’ve been podcasting since 2013 and during the latter part of 2018 I saw major brands using the medium for their content marketing – McKinsey, The Economist Intelligence Unit and CapGemini. This tells me that content marketing is expanding into the audio medium. There are advantages and disadvantages to this. Few brands have enough to say that doesn’t involve their competitors (which they are probably unwilling to discuss in public forum) compared to independent commentators who can speak more freely. And this fact alone will deter many brands from podcasting. There are other opportunities for content marketing using audio which are less ’traditional’ than a weekly radio show which brands can usefully use. 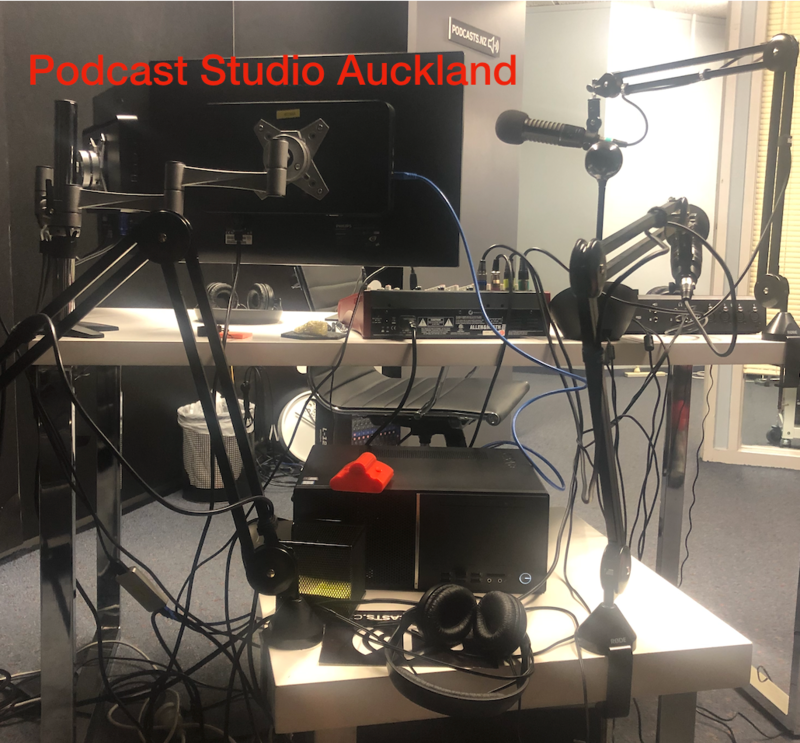 My podcast interview with Bob Weir author of “Why Businesses Fail” was published by Access Granted NZ. His book is a must-read for founders, investors and board members for the insights into the human psyche and how it contributes to business. Business failures are usually preceded by identifiable problems. Analysing problems at the macro level was an observation which led to me writing Problem Solving for Marketing. The insight connecting these is that correctly identifying the type of problem first, aides finding the right solution. Is your business situation a “mess”; a “problem”; or a “puzzle”? And although this case study looks amazing, very few brands that I meet use automation, business process flows or sales funnels to this extent. How does this reflect on the adoption curve for CRM, which I was working on with Peppers and Rogers back in 1997? Maybe some firms will never use marketing automation or sales lead scoring. Writing a presentation for the Penrose Business Association brought me to confront my lack of skill using traditional presentation software. I have found two alternatives Beautiful and Stun, one American and the other Kiwi. Finally – the joke’s on you for the Mars Rover whose batteries may have died after 15 years – Brendan Boughan’s Cartoons by Jim captures it perfectly. and flashes back to 1997 when we first got Mars fever and the creatives at HP had a similar vibe going. One of my favourite laugh-out-loud adverts of the time.